Cheaper for us, cheaper for game creators - what's to lose? It's sometimes easy to forget that console sales are driven more by the quality of the games on offer than by the sheer muscle of the hardware, which is why the hardware makers work hand-in-glove with software houses. 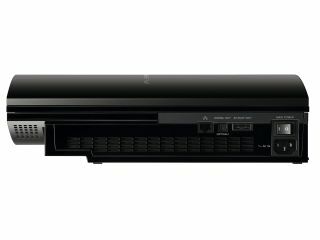 Given the general consensus that the plethora of innovative games available for Nintendo's Wii is the major part of its success, it's no surprise to see Sony try to tempt more developers to work on the PS3 by lowering the price of the development kit they need to create new games. Following recent successful PS3 price cuts, the halving of the kit's price to around £5,000 is a smart move that will help bring in those smaller studios still avoiding the newest PlayStation and its notoriously complex hardware. It might seem like a small saving, but dev kits are typically used in batches, not just one at a time. The industry trend that has seen companies port hit PS2 games to the Wii instead of the PS3 could indeed be bucked by cheaper start-up costs, although software houses will still be looking at the number of consoles under TV sets, which sounds suspiciously like a chicken/egg scenario to us. What chance another PS3 price cut early next year then?